The Department of Science and Technology (DOST) of the Philippines offers a scholarship program for incoming and deserving students who excel in science and mathematics. However, before a student can be considered a scholar, he or she will have to pass the entrance examination administered by the agency. 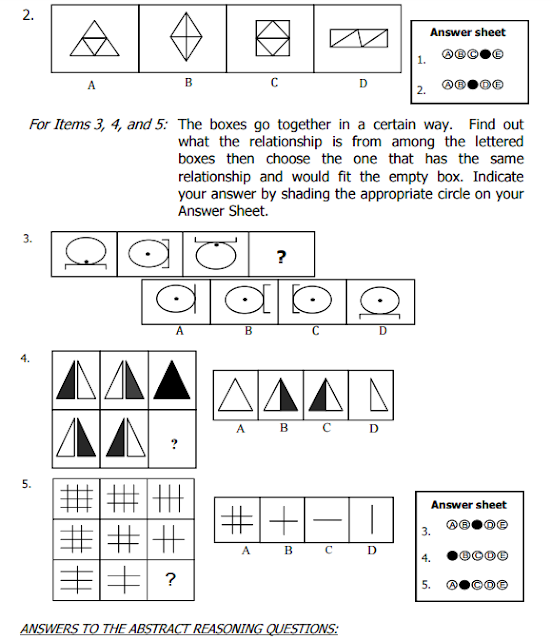 This test is called the PSHS National Competitive Examination (NCE). Not all students are eligible to take the entrance exam. They have to apply to take the exam. If a student is accepted to take the exam then passes it, he or she will be able to attend any of the fourteen (14) Philippine Science High School campuses scattered around the country. 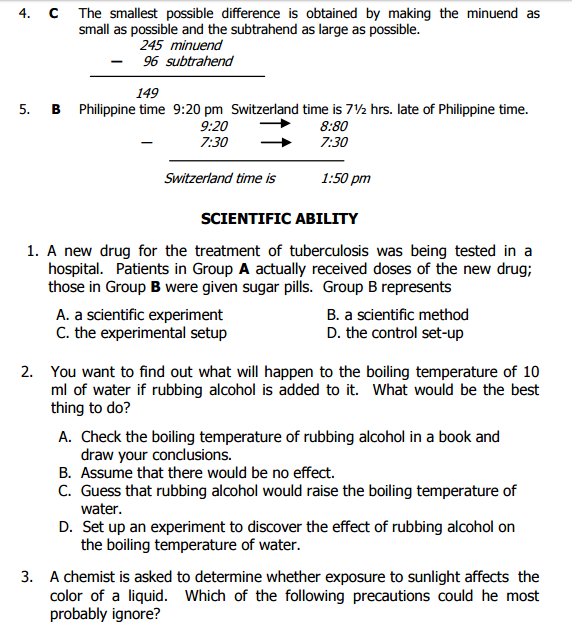 Who can apply for the Philippine Science High School Entrance Exam? 1) Has a final grade of at least 85% in his science and mathematics subjects. The student needs to present his report card as proof of his grades. Those with grades below 85% still have a chance of taking the exam by providing evidence that they belong to the top 10% of their class. 2) The student must be born on or after August 1, 2002. 3) Must be a Filipino citizen. In addition, he must not have an approved or pending application to immigrate to a foreign country. 4) Must have a satisfactory rating or its equivalent in his report card's character rating. The student may be required to present a certificate of good moral character (GMC). 5) Should not have previously taken the Philippine Science High School entrance exam. 6) Must be fit and in good health because he will be going through a rigorous academic program. What are the entrance exam application requirements? Before anything else, you have to accomplish the application form. The DOST requires two copies but it's best that you complete three or four copies in case of emergencies. Where to get the application form? You can download a PDF copy of the application form for free from the official website of the Philippine Science High School System (PSHSS). Also, bring with you two identical and recent 1x1 ID pictures. And last but not the least, bring with you a true and certified copy of your final report card as proof that you have grades of 85% in science and mathematics. For those whose grades in said subjects are below 85%, bring with you proof or a certification from the school that you belong to the top 10% of your class. Are there fees to pay when you submit your application? If you are from a public school, you don't have to pay anything. Just completely fill up your application form and submit it. If you are from a private school, you will have to pay a non-refundable test fee of 100 pesos. Where can you submit your entrance exam application form? There are three possible places where you can submit your application forms. It's highly recommended that you bring your forms to the campus of a Philippine Science High School nearest you. You can also submit the forms to any regional or provincial office of the Department of Science and Technology. When can you get your examination permit? You will get your examination permit once you complete all the documents needed in the application process. If you submitted the form to a PSHS campus, you will receive the permit from that campus. SO make sure to follow up your application of on a regular basis. If you submitted the form to a DOST regional or provincial office, your examination permit will be sent to you or your school via snail mail. If it's already two weeks before the examination and you haven't yet received a permit, it's advisable that you immediately check with the nearest PSHS campus or the regional/provincial office of the DOST. What are the benefits and privileges of being a DOST and Philippine Science High School scholar? Your education will be free. Your tuition fee will be handled by the Philippine government. On top of that, you will be loaned textbooks for free and you will receive a monthly allowance and stipend. In addition, if you are from a low-income family, you will be provided with uniform, transportation, and living allowances. 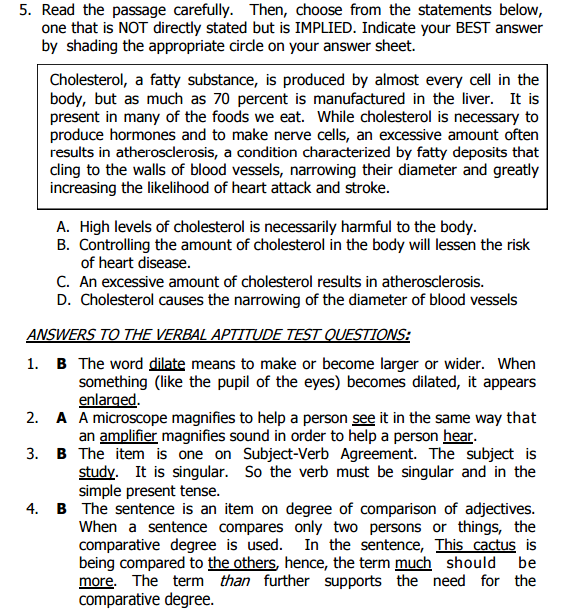 What kind of questions should you expect from the entrance exam? 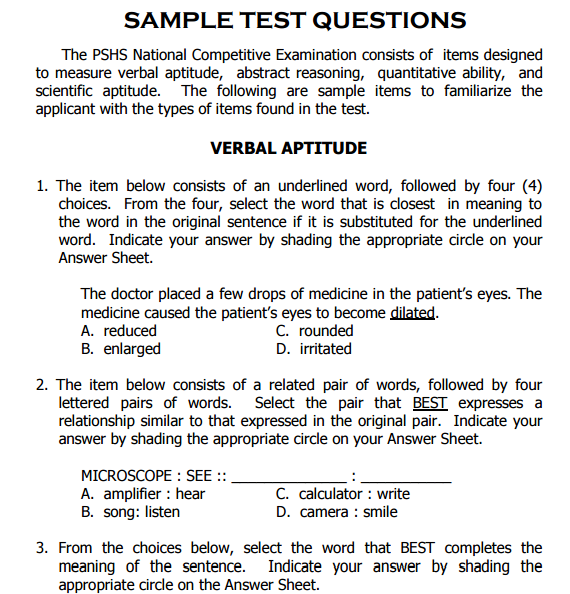 The official website of the PSHS has uploaded several sample questions from the exam. 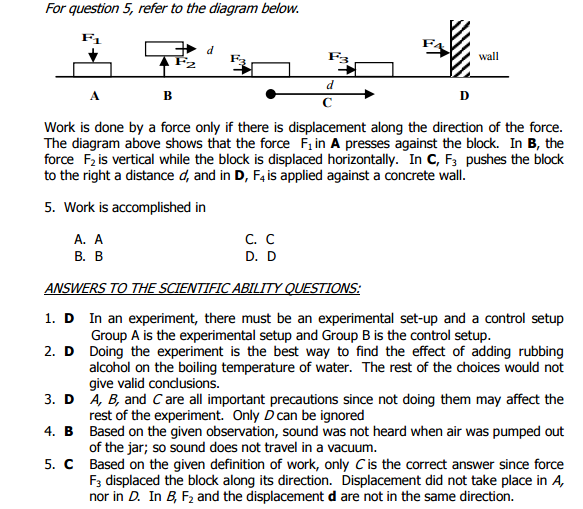 You should look into these questions and study them. 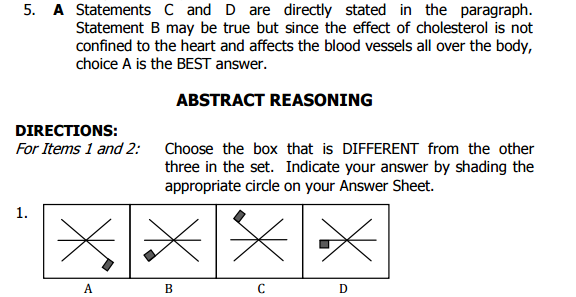 Think of them as your Philippine Science High School entrance exam reviewer. 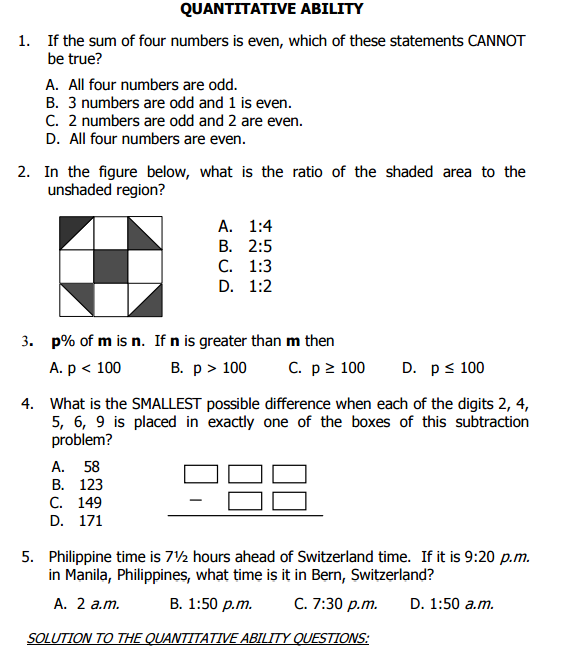 Below is a few of the sample questions.